CHIAVARI, Italy - Every region has its own special pasta. 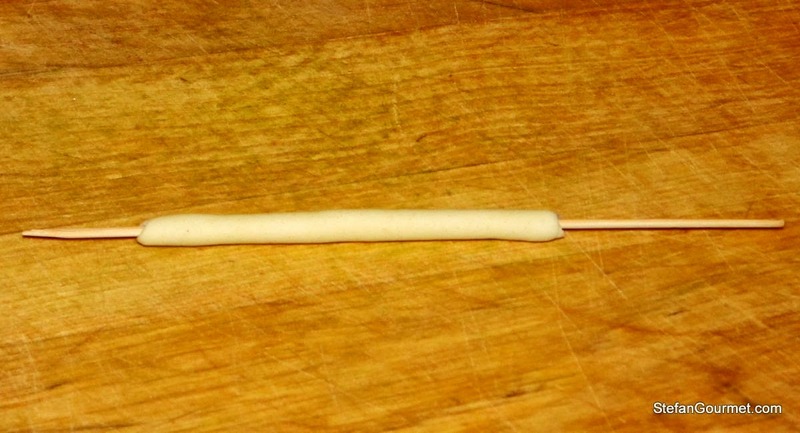 In Sicily, in the region around Trappani, the special pasta is busiate, thin tubes of pasta, about 2 1/2 inches/7 cm long and ½ inch/4 mm in diameter. 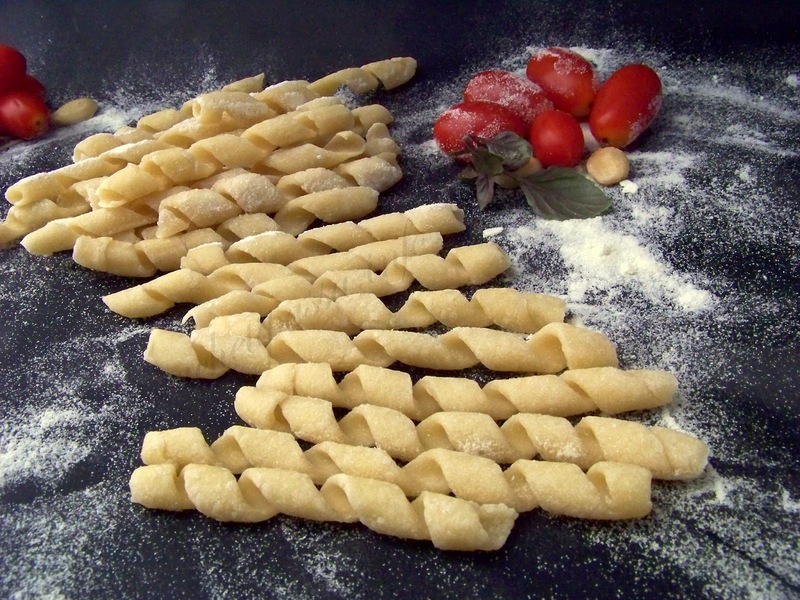 Like other pastas popular in southern Italy, busiate are made with double processed hard wheat and water and no eggs. 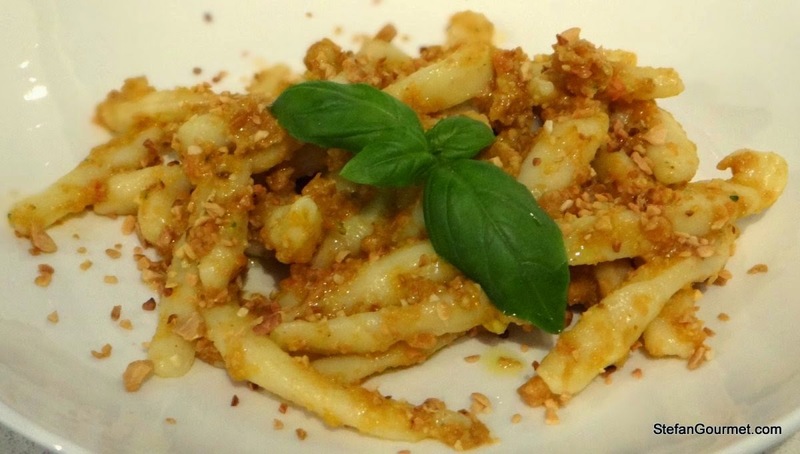 In Trapani busiate are served with a special type of pesto called pesto trapanese. Trapani and Genova are both port cities and it was the Genovese sailors who introduced the Trapanese to the concept of pesto. 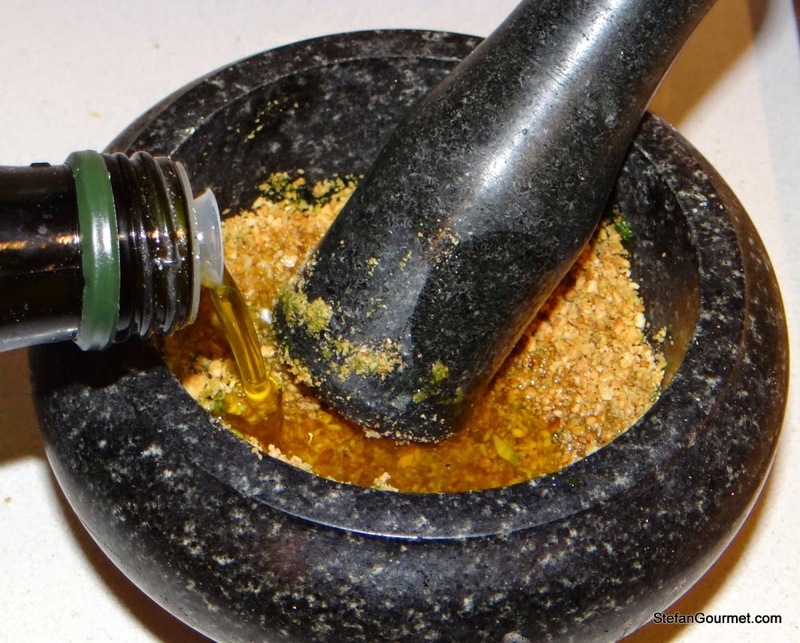 Then the Trapanese took the Genovese pesto, which is made from basil and pine nuts, and added tomatoes, and almonds and turned it into pesto trapanese. While the Genovese have official pesto recipes, in Trapani official recipes for pesto trapanese do not really exist. In Sicily you will find a variety of versions, with and without pecorino (Sicilian pecorino), and British chef Nigella Lawson adds capers, raisins, anchovies and red hot pepper flakes. The recipe that follows is one that you will find in osterias and trattorias in and around Trapani. There are not a lot off ingredients but the flavor is superb. For the busiate. 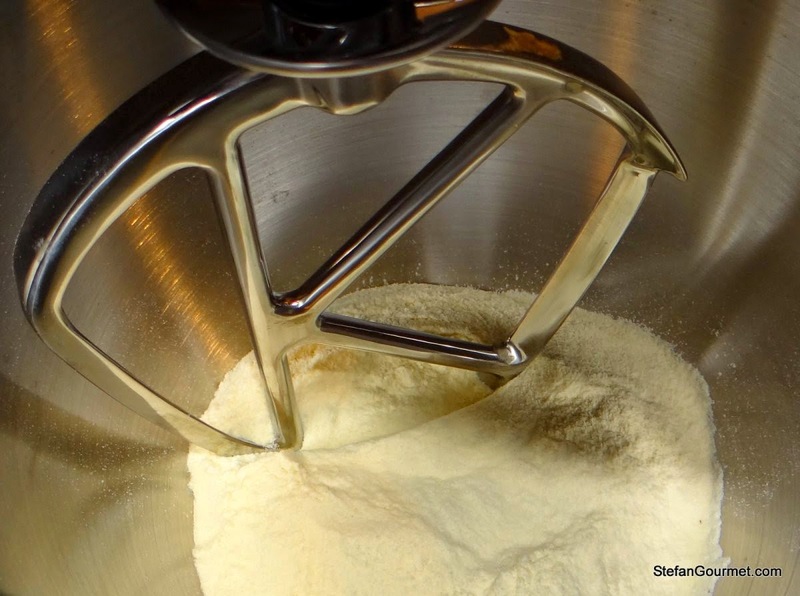 Put the flour in the mixer. At medium speed, slowly start to add the water. 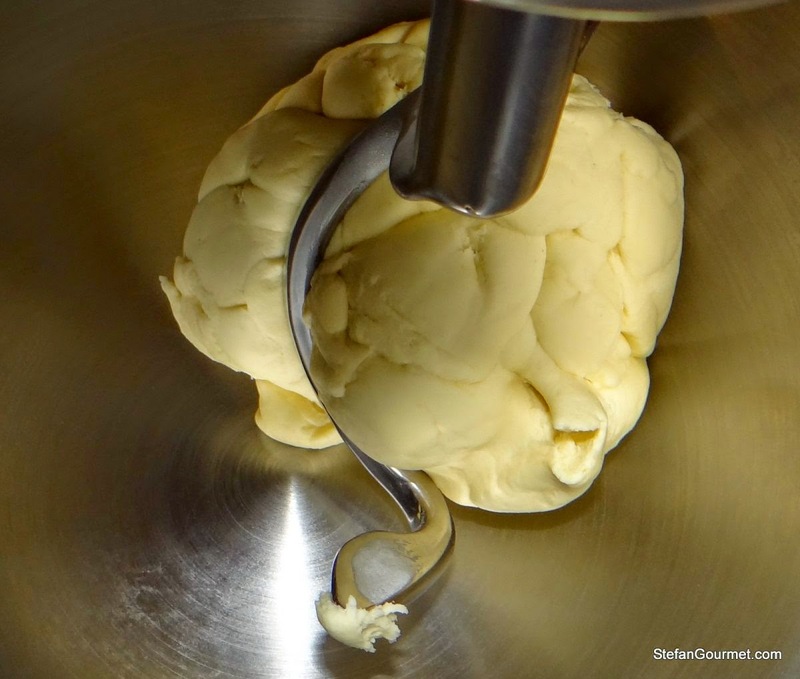 Add enough water to make a compact dough. The actual amount of water you will need will depend on the level of humity of the flour, so it’s important to add the water a little at a time. If your dough is still too sticky, add a little more flour. 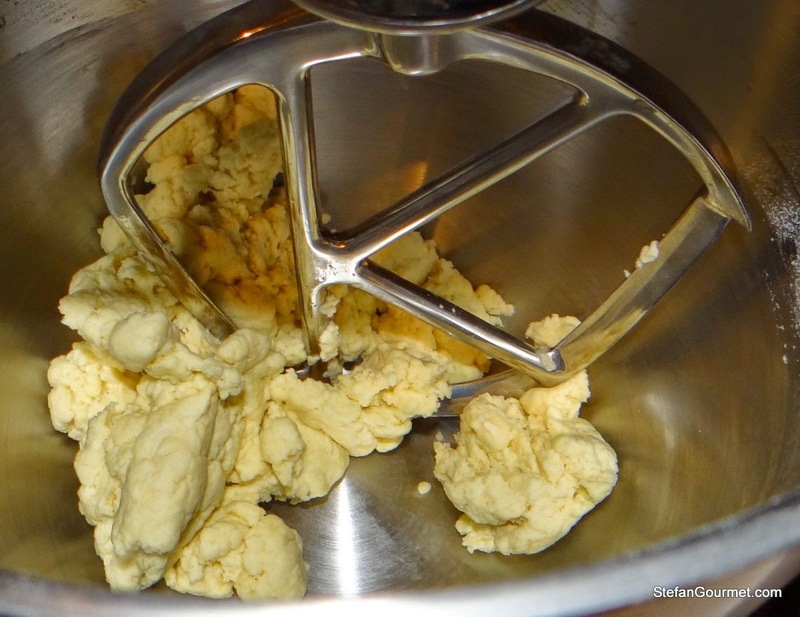 Take out the mixing element and put in the dough kneading element and knead the dough for 5-10 minutes at medium speed – or until the dough is smooth and elastic. 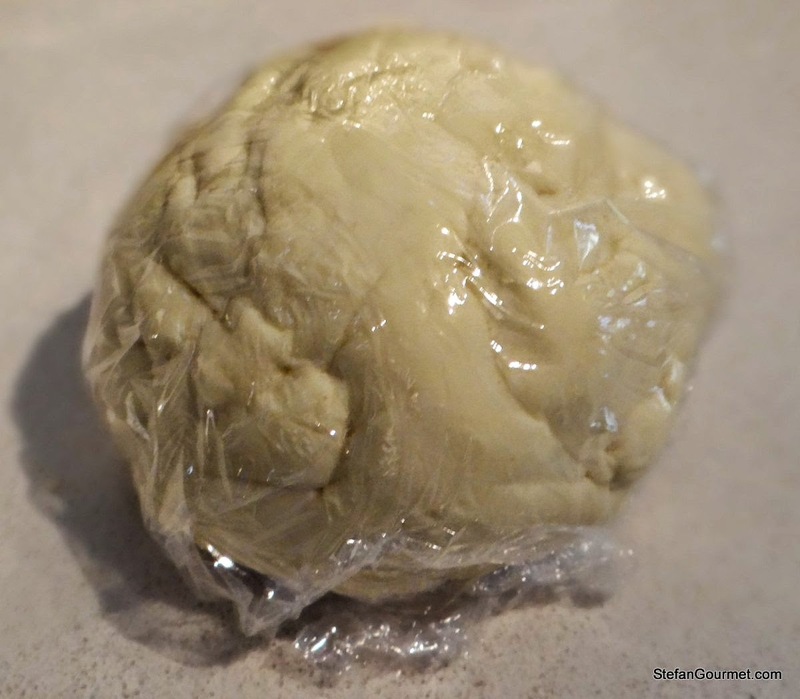 Wrap the dough in Saran Wrap and let it rest in the refrigerator for about half an hour. 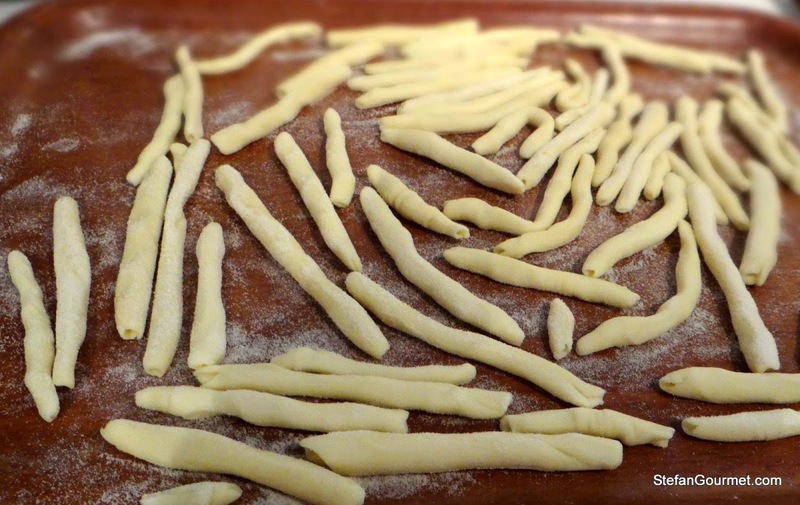 When you are ready to make the busiate, take a piece of pasta dough and roll it out with your hands until it is long and round. It does not have to be perfect. Then cut the dough into pieces approximately 1.5” long/3.5 cm. If some pieces are thicker than others, cut them shorter. 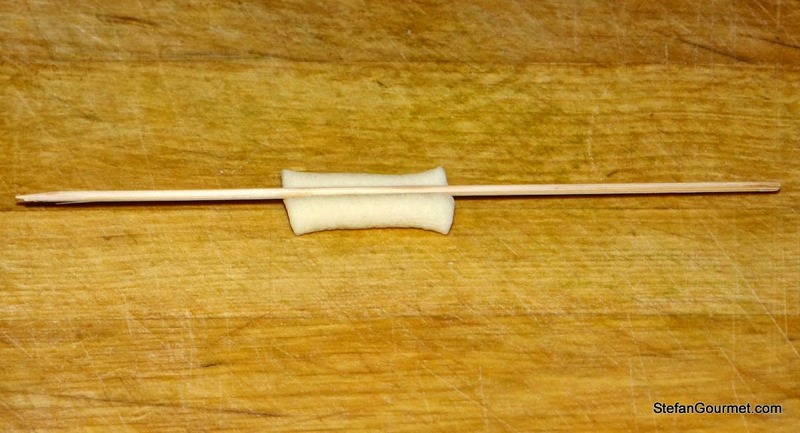 Take a wooden or metal skewer and put it on a piece off dough. 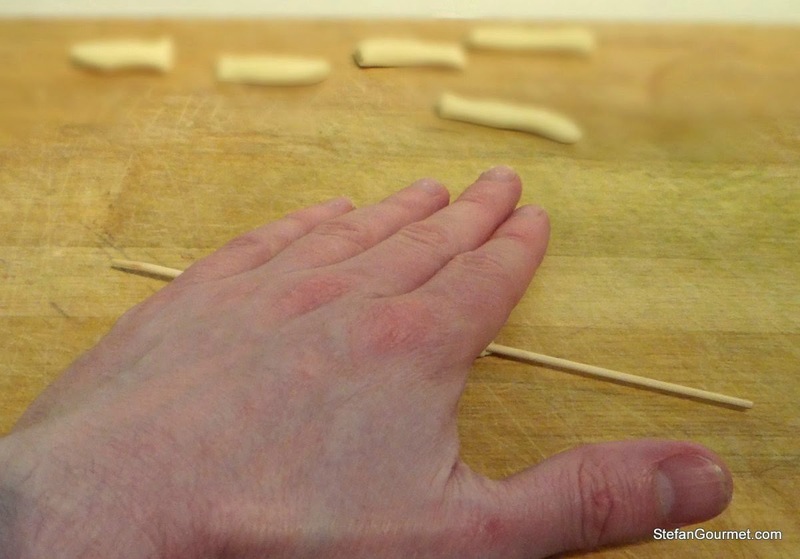 Roll it back and forth with your hand until you have made a thin cylinder around the skewer. The cylinder should be about 3 inches long. 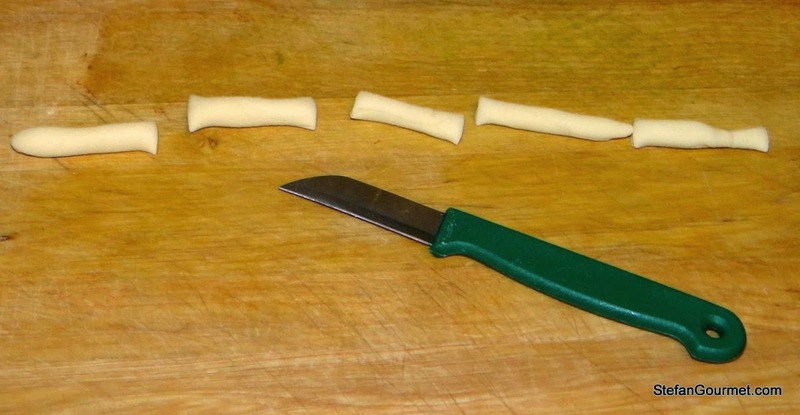 If it comes out longer, roll it until it is just a little thinner and then cut it into shorter pieces. Repeat until you have used all the dough. Put the busiate on a floured tray in a single layer. Let them dry for about half an hour. To make pesto Trapanese start by toasting the peeled almonds in a pre-heated oven 350F/180C for about 10 minutes. While the almonds are toasting, peel the tomatoes, remove the seeds and chop into small pieces. 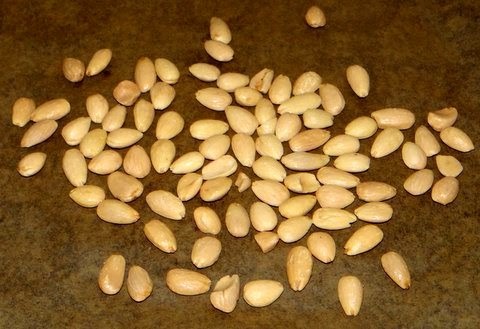 When the almonds have been toasted and have cooled, chop them. 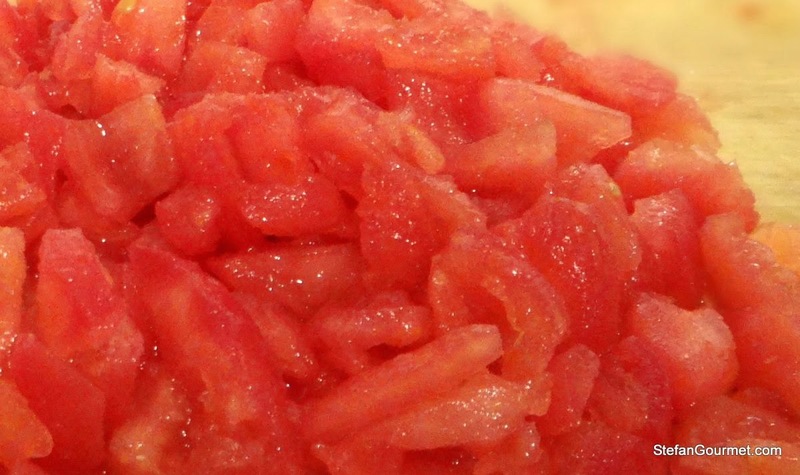 When they are coarsely chopped take some out to garnish your dish, then continue until they are finely chopped. You can do this by hand or with a robot. 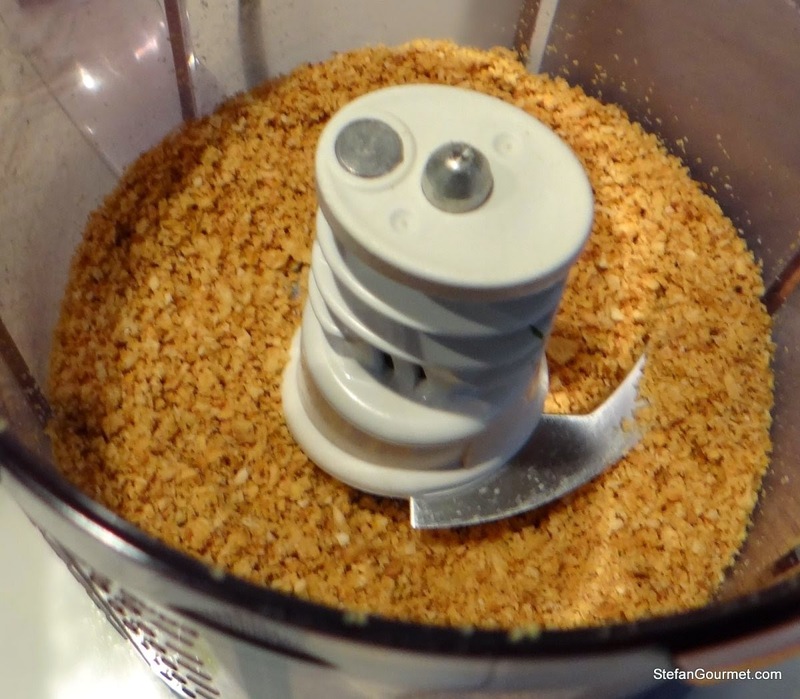 For the next step, you can continue to use a robot or blender, starting with the basil and a pinch of salt. Pulse (or pound if you are doing this by hand) until the basil is smooth. Add the chopped almonds and a little olive oil. 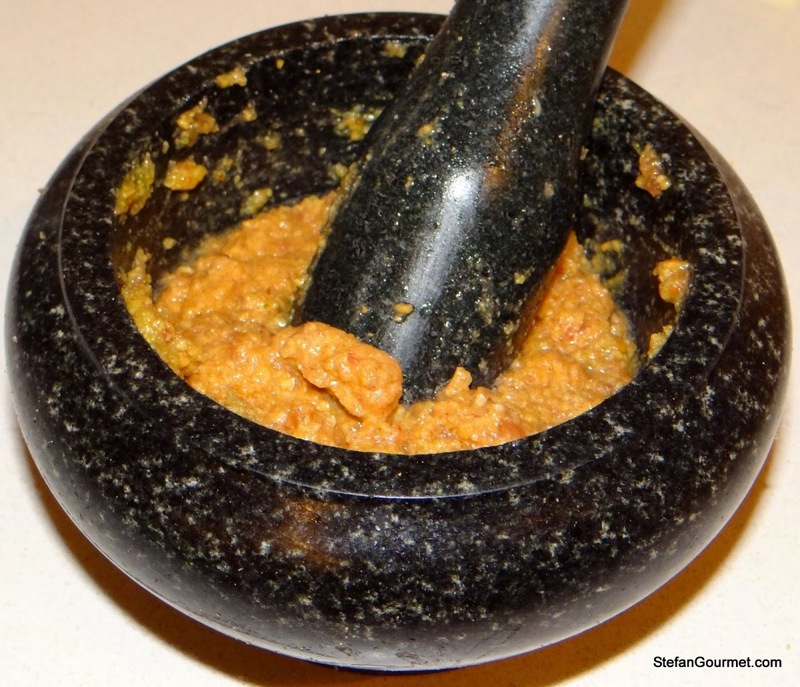 Continue to pulse (or pound) until you have a coarse mix. 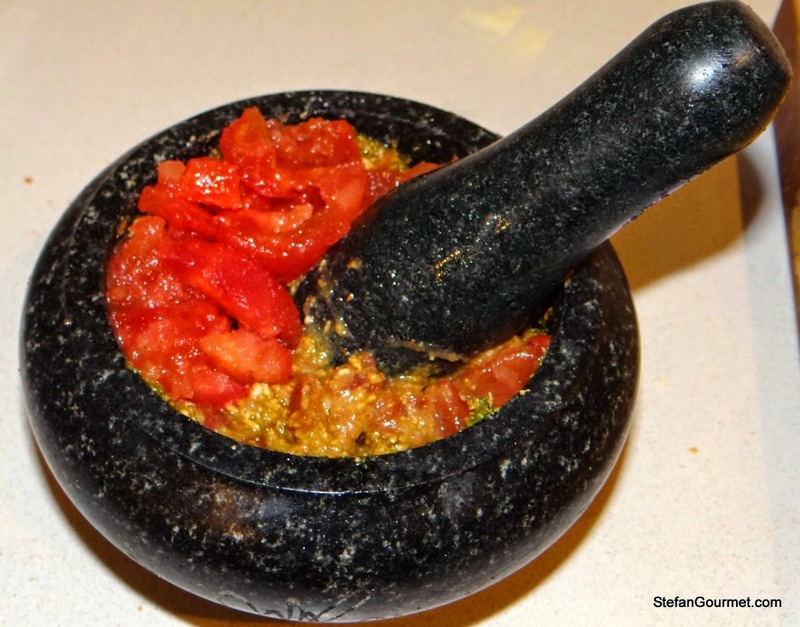 Add the tomatoes and continue pulsing or pounding, thoroughly blending all of the ingredients. 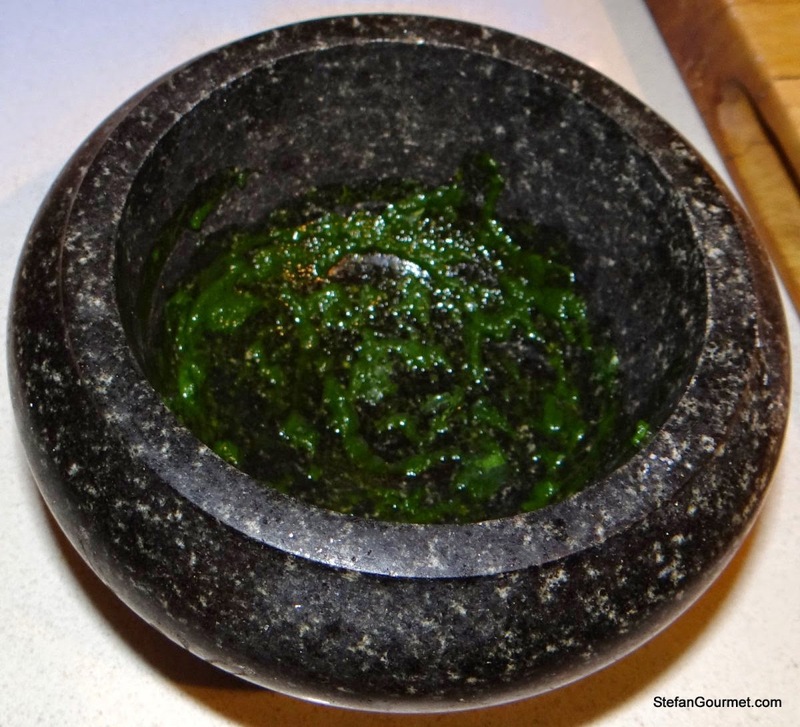 Pesto Trapanese is ready when it reaches a coarse consistency. You can make this a day ahead and store it in the refrigerator. You’ll find the flavors have mellowed over night. Boil the busiate for about 8 minutes (or less) in a large amount of salted water. Test the pasta after about 6 minutes. They may be ready. When they are cooked, drain them. Heat a deep frying pan over a low flame and add the busiate and the pesto alla Trapanese. Mix well. 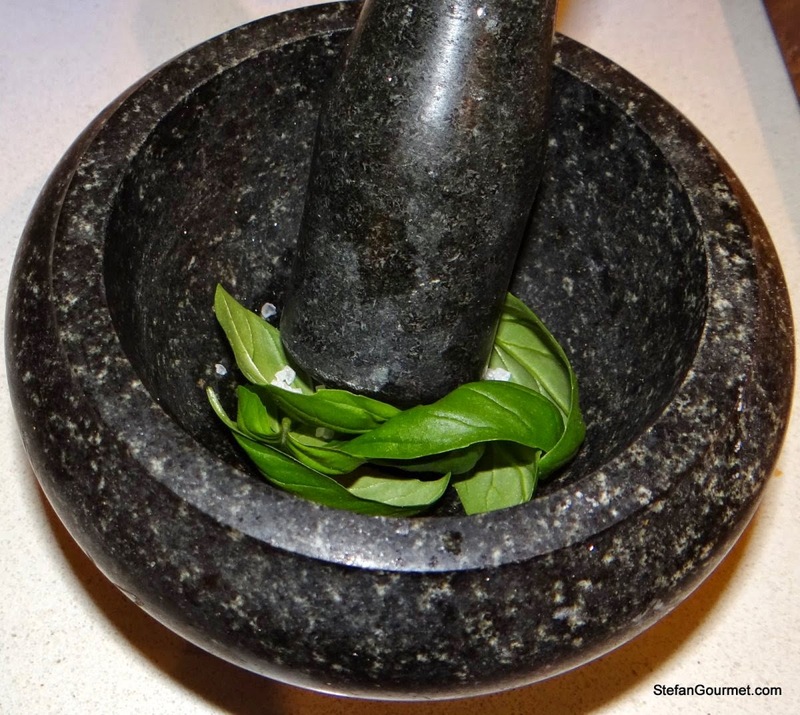 Serve on a warm dish with a sprinkle of almonds, a basil leaf and a grind or two of black pepper.